UAHS urges public to attend the second consultation on the ‘Belfast City Regeneration Project’ previously referred to as ‘Royal Exchange’. 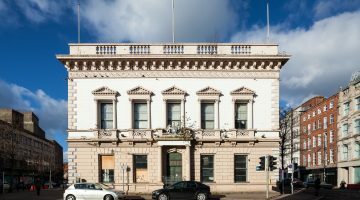 In April 2017, UAHS advised that a large portion of the Cathedral Quarter Conservation Area- Lower North Street, and Donegall Street is proposed for demolition by way of the ‘Belfast City Regeneration Project’ previously referred to as ‘Royal Exchange’. 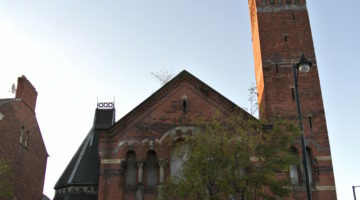 A campaign led by Save CQ saw over 2000 people object to the proposals. Read the previous article here. Round two of the pre-application consultation sessions are on Monday, 3rd (2pm-8pm) and Tuesday 4th July (9am-2pm) at the MAC, Belfast. The proposals are also available to view online at http://belfastcitycentreregen.com/. The original timeframe for comment before Friday 7th of July was unnecessarily short. UAHS is opposed to the dubious practice of asking for responses coming into holiday periods, and requested an extension to the public consultation period. The consultation will now be open for comment until 18th July. This second phase of pre-application consultation does not refer to the aforementioned demolition of North Street and Donegall Street. It focuses on an extension of the proposed ‘regeneration’ site to include additional listed buildings 41-51 Royal Avenue. This consultation also includes proposals for the listed Rosemary Street Presbyterian Church, adjacent Central Hall at 37-39 Rosemary Street and the Masonic Hall at 15 Rosemary Street. 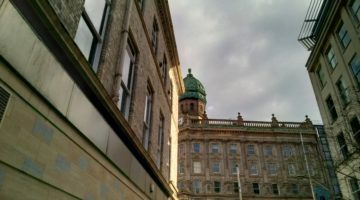 The future of Historic Belfast hinges on promoting development which enhances, rather than overwhelms, listed and unlisted historic buildings, their setting and the City Centre conservation area. UAHS will be attending the consultation and encourage those who are concerned about this part of the development to attend and comment, particularly with reference to Planning Policy Statement 6. Please direct comment to: [email protected] AND [email protected] by 18th July 2017.